You make a living by what you get. You make a life by what you give. Why doesn’t wealth bring a constant sense of joy? The fact is that people aren’t very good at figuring out what to do with money. As humans we are conditioned to positive experiences. Pleasures are short-lived because we adapt to them. On the other side of the coin, comforts are front-and-center in our consciousness until they are absent. This book will help you look at money through a new lens. Discover simple yet actionable strategies to keep more of your hard-earned dollars in your pocket for the long term, because it’s not about what you make, but what you keep. 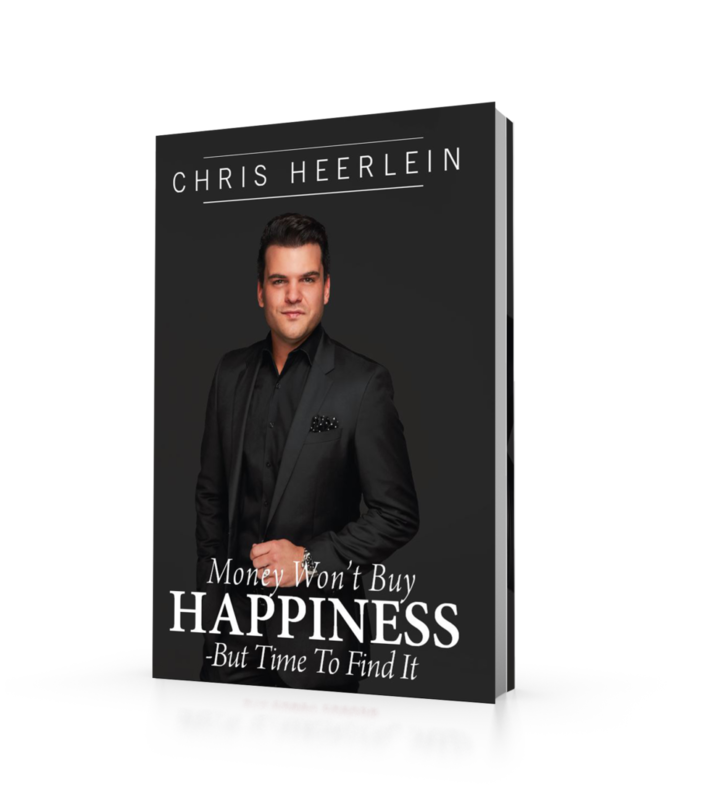 Chris Heerlein takes retirees of every age and income through steps to discover the greatest asset of all…TIME. 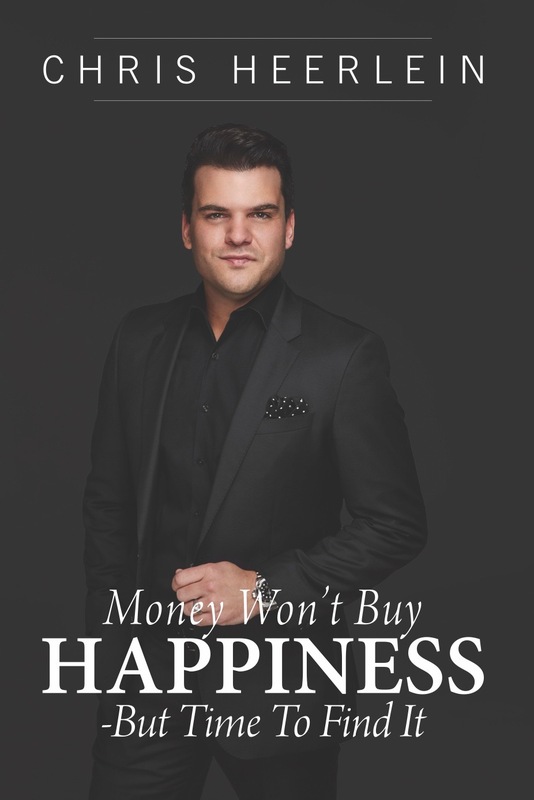 This book serves to lead investors on a path to once and for all take control of their financial future, providing a perpetual level of happiness only freedom can bring. LEARN MANY WAYS TO KEEP YOUR MONEY & USE IT ON YOUR FUTURE HAPPINESS. Get Money Won’t Buy Happiness Now! As a retirement coach, Chris has the privilege of working with families & individuals retiring today, as well as those retiring 10-30 years from now. Whether you are 25 or 65, it is never too late to begin planning & most importantly saving for retirement. As a Fiduciary advisor, Chris prides himself on an unwavering commitment to integrity, stability, long-term relationships, and the highest standards of service and performance. At the end of the day saving for retirement is only half the battle. Withdrawing in retirement presents an entirely different set of challenges. Families and individuals look to Chris for expert guidance and to help keep them on a path towards financial security and independence. Chris and the team of Advisors at REAP Financial strive to provide Organization, Accountability, Objectivity, Proactivity, Education, and Partnership throughout retirement. In addition to his work with clients, Chris co-hosts the Retire Ready radio show on News Radio KLBJ 99.7FM & 590AM. tune into Retire Ready TV, Saturday morning at 8:56AM. yourself to retire ready and successfully in today’s economic environment. Chris Heerlein is a featured columnist with Kiplinger personal finance magazine, as well has been featured in Fortune, Money Magazine & Bloomberg Businessweek. Mr. Heerlein is a member of the National Ethics Bureau (NEA), Better Business Bureau (BBB), American Association of Independent Advisors (AAIA), and the Financial Planning Association (FPA). Chris Heerlein lives in Austin, TX with his wife Hannah and children, Evangeline, Paloma and Christopher. Chris is an active supporter of numerous charitable endeavors and accomplished musician.